Representing something out of a history session, Vietnamese culture provides a diverse complexity ranging from natural wonders to blooming developments. The nation's exquisite maze reflects centuries-old trading influences as well as being rich in indigenous crafts. Unforgettable experiences are everywhere in Vietnam providing a land of staggering natural beauty complimented with vibrant megacities and hill-tribe villages. One thing that is not to be missed on any Vietnam trip is strolling around the country via its train rides. 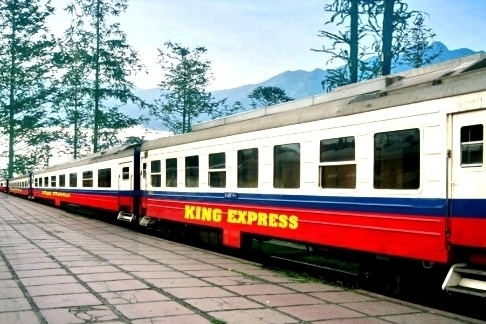 King Express, a popular train operator in Vietnam, evokes the colonial charm of travelling in the northern region Vietnam. The trains offer an inspirational experience on board as well as time to enjoy the beauty of various destinations and train tickets can now be booked online through Easybook’s easy-to-navigate platform. King Express guarantees to provide excellent train services along the railways within Vietnam. 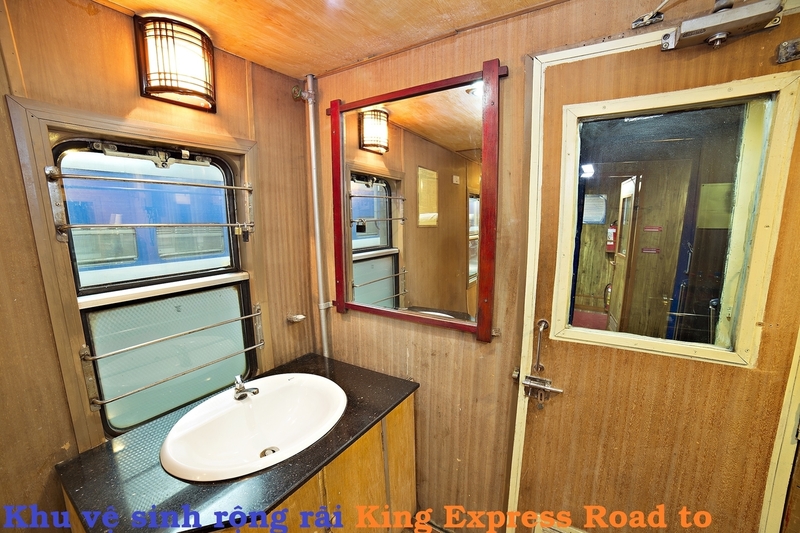 With outstanding reviews by domestic as well as international visitors, King Express promises to bring the highest level of satisfaction with its motto of “Serving you as serving the King and the Queen on board.” Due to the endless selection of places to visit within Vietnam, King Express offers numerous train services all available at affordable prices. Simply rely on King Express to get to a variety of destinations around Vietnam safe and sound. With a wonderful opportunity to admire the natural beauty of the northwest mountainous areas in Vietnam, one of the popular routes serviced by King Express is the link between Hanoi to Laocai. The route from Hanoi to Laocai takes an estimated time of around 8 hours upon arrival. 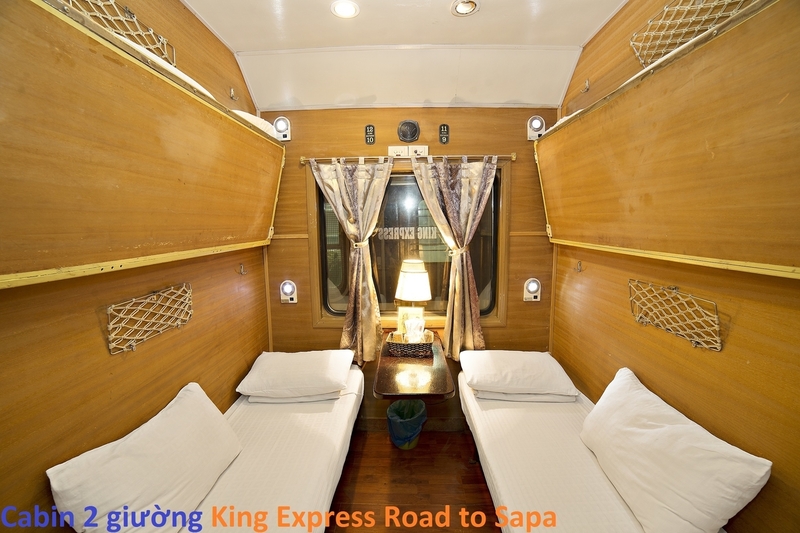 As Sapa is one of the many beautiful attractions in Vietnam, trains from Hanoi to Sapa is also favoured by many on board trains provided by King Express. Several other train routes include connections from Hanoi to Hai Phong, Hanoi to Da Nang as well as Hanoi to Ninh Binh. Return routes are also available for several distinctive trips. Make sure to check the complete train schedule and price confirmation to avoid any drawbacks. Offering a total of 25 cabins spread over several carriages, King Express trains can accommodate up to nearly 100 passengers at one time. Its wooden decoration and lighting system providing reading lights within the cabins create a warm as well as luxurious ambience for an unwinding journey through Vietnam. 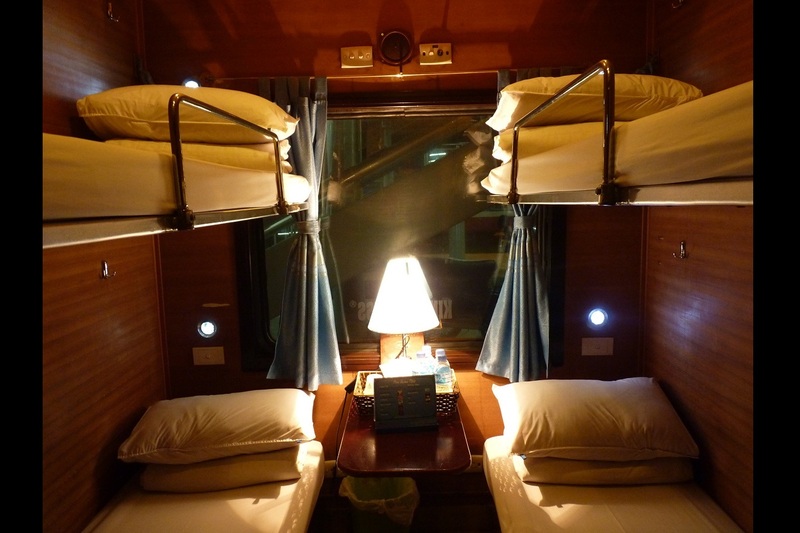 Generally, each cabin is equipped with two-way air-conditioning systems offering nice berths with blankets, clean sheets, pillows and cold towels. Cabins within King Express are categorised into two types. These include Deluxe Cabins and VIP Cabins. Deluxe Cabins are a popular choice for a family or a big group providing a cosy atmosphere with 4 berths. Meanwhile, VIP Cabins offer a private and intimate space with 2 berths suitable for couples or singles who desire to enjoy their privacy. 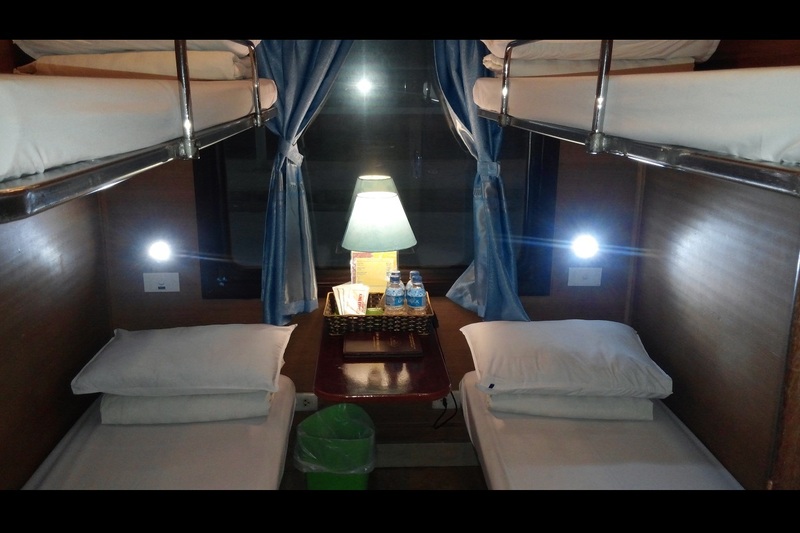 The train also serves complimentary light snacks and drinks such as sweets, candies, cakes as well as assorted beverages. Free WiFi connections are also provided on board train services by King Express. Save up plenty of time by booking train tickets on board King Express through Easybook’s website here without having to queue up at any train station. Book King Express train tickets safely online by providing details such as travel date and the desired destination. Aiming to achieve a satisfactory review by many visitors, Vietnam’s famous train service by King Express is ever ready to provide the best and help kick start an exciting journey today!